I recently was lucky enough to acquire what seems to be a nearly factory new EVGA SR-2 motherboard. 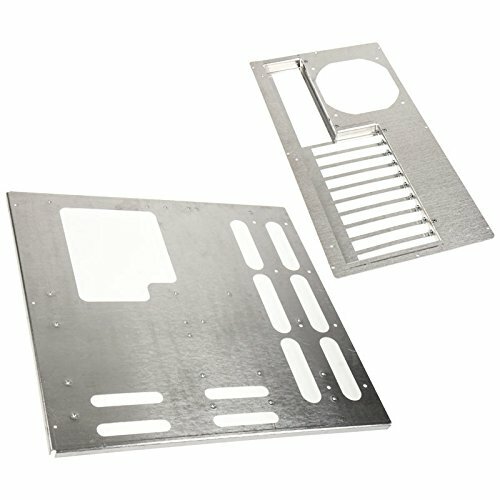 For no particularly good reason, I really want to build a computer with it; maybe it'll be my first home lab project. I've already ordered some Xeons and other parts from eBay... the minimum amount of stuff I need to test the board to make sure it still functions, since it was sitting on a shelf in its box but without its static protection bag. However, assuming it still works, I'm going to need to put it in a case, which turns out to be the hardest and most expensive problem to solve. Edit: I can't seem to post a link, so I'll just say it's the forum post titled "EVGA DG-87 & SR-2 Build" by user "Gone Cruising"
My question is two-fold then. First, what makes the DG-8 not completely support HPTX? 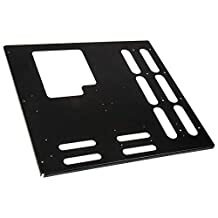 If it's something like having to remove the 3.5" hard drive cages completely, I might look elsewhere since I'd like to load those up for mass storage, but I might be able to live with it if it's just something like missing a few motherboard stand-offs. Second, what other cases might be compatible with HPTX even if they're not marked as such? Considering how limited my options are, I also want to take into account cases that could support the board given a bit of modding. How do you plan on Cooling the CPUs? SupperMicro has them, if I recall. I just plan on air cooling them; I have a couple of older Zalman 9900 that should fit the socket no problems. No water cooling, since I don't want risk the reliability of it if I'll be using it as a home lab. Do you know any specific SuperMicro models? I tried browsing their website, but... it's difficult to tell whether or not a case is compatible based on their specs and pictures. On top of that, Supermicro's prices seem far less reasonable here in Canada, while having far fewer options (probably because most products come through a third-party seller on Amazon or Newegg, so really it's an availability problem). For example, Supermicro has only 1 page of results for the server chassis section (that are ATX or larger) on Newegg Canada, but 5 pages of results on Newegg US. SupperMicro Cases do come with Power Supplies. I did pay over $800 for my SupperMicro AMD Case. HPTX Motherboard are Server Class in Size and even a Supper Tower Case would not work in most cases, no pun indented. I just checked B&H at your request (heard of them, but never bought from them). You would not imagine the surprise when I saw there were 2 HPTX cases available, and then the disappointment when both of them were Lian Li Computer Desk cases, haha. Maybe this would work, looking now for the Max MB Size in Inches. So with a few Mods I bet it would work. Yeah, I've started searching using the "compatible with E-ATX and XL-ATX" as my starting point... if it fits both, then there's a chance it could fit, unofficially. I also agree that the Core W100 might work; it's got plenty of motherboard space, but I agree that it needs some modding (an extra mobo stand-off or two, at least). For the Canadian price though, I may as well order the Naxonia case, since it's sound dampened and everything (though the W100 has casters, which is convenient and cool). So this is what I have so far: The DG-8 is the cheapest solution (I think, according to the selling price on EVGA's store, but I'm not sure about currency conversion and shipping), assuming it fits with the hard drive cages. I really wish those pictures in that EVGA DG-8 SR-2 build showed the full interior. The Naxonia is the guaranteed solution, but it's pricey. The W100 is similarly pricey and requires modding, but is more available generally. SuperMicro probably has a solution, but the problem is finding it. Edit: Good lord, I tried checking out the EVGA DG-8 to find out how much shipping would cost to my location... apparently it's 250$, which is practically absurd. I know it's a case, but still... it costs more to ship the case than the case itself! You could also just use a Motherboard Tray and Build a Wooden Case. Sorry for the lack of response; I've been waiting on my other parts to arrive before I order the case, to make sure the board still works (I mean, it's in almost factory new condition, but I just want to be sure considering I may have to commit to buying a 300-400$ case). Unfortunately, the CPUs are still in shipping (Dammit eBay global shipping program). I did contact EVGA support on the DG-8 series, and they person who replied did not recommend using that case series for this. I haven't delved further into the SuperMicro options yet but, out of everything else, I'm leaning towards the Nanoxia case since 1. Is available (well, pre-orderable) 2. Is silenced 3. Does not require modding. The trays are an interesting last resort, but then I have to build a whole case myself (which could be cool, but I'd rather do at my leisure). So if I can get the Nanoxia, I think that would be the better option. I was kinda hoping that, by the end of this post, others who might be looking to house an HPTX board would be able to use this thread as some sort of reference but, considering the scarcity... I'd say that trying to use this basically deprecated standard at this point comes down to getting lucky and finding a case used locally, DIY (modding or self-built), or you're just SOL. Thanks for the update and keep us up to date on your Progress. It is going to be an Awesome Build.